In treadmill I trust. Or do I? A rainy morning kept me inside today so I did yet another treadmill run. I'm curious to know how close the readout on the treadmill's display matches my actual progress and performance. I replaced the treadmill's console a few months ago but wasn't able to run the calibration sequence when I installed it. Every time I run on the machine I question the accuracy of its recorded distance and speed. I've often felt that running on this treadmill (a Sole F63) and our prior Pro-Form unit felt harder at a given speed than when running on the road. A 9:00 pace on the Sole feels like about 8:50 on pavement. It may be that the treadmill forces a shorter stride and higher cadence that feels more challenging. I would think that the treadmill would feel easier and street running because there's no wind resistance. Plus, you don't experience hills unless you select an incline. 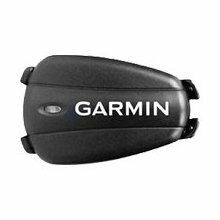 I still have my foot pod that links to my Garmin and I could probably answer my accuracy questions by comparing the Garmin performance with the Sole's on the same run. Before I do that, I need to replace the foot pod battery and do some calibration runs outside in order to establish an accurate baseline. The other issue is that the foot pod won't attach easily to my Hattori's so I'll need to run in a different shoe. I guess I can make excuses why it will be hard to test or I can just go ahead and try it. The accuracy of distance and speed have been an issue with treadmills since the beginning. TO have an accurate measure of both on your treadmill would be nice I bet. At least for reassurance. Good luck with that. Thanks. I guess in the end, it should be about effort not metrics. Still it's nice to know how fast you actually running. Want to take it easy? Run a little faster. Running performance: was it fear or cold? 1,100 ways to say "I ran"
My 2012 racing calendar is already filling up!